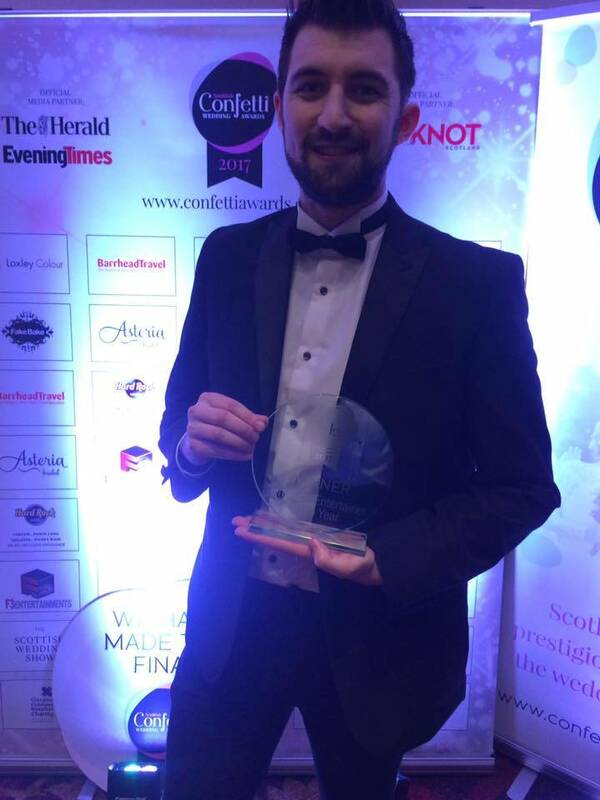 The Confetti Wedding Awards 2017 took place last Sunday at The Hilton Hotel in Glasgow. I am pleased to announce that I won my category of ‘Best Ceremony Entertainer’. I was absolutely thrilled on the night as I was up against some of the top Wedding suppliers in the industry. Thank you to all of the Brides & Grooms that voted for me and also to the judging panel for their final decision. I’m looking forward to the future and to continuing my high level of Wedding magic for all my future clients.